Are Rubber Bracelets a Fashion Statement? Do you remember how everyone in your school had rubber bracelets growing up? They were popular in the 2000s because their bright colors and low cost attracted children to them like a beacon. They’re still around to this day because they’re an inexpensive promotional item for companies and organizations alike. Many people will wear one from an organization that they care a lot about. Some people just have a random junk drawer full of them because they can’t stop receiving new ones. If you’re the one with a drawer full, the good news is you can make them work for you. Here are a few ways that you can make a new rubber bracelet into an awesome fashion statement. When you’re trying to wear rubber bracelets, there will be a temptation to wear as many colors as possible on your wrists. Rubber bracelets are colorful already so when you pile them on, they just become overwhelming to the eyes. If you’re just the type of person who loves a lot of colors, that’s fine. Just try to not wear more than three different ones on a single wrist otherwise you may look like a walking advertisement for Crayola. It can be a bit strange to wear a rubber bracelet to a formal event but if you must then nobody can stop you. Except for maybe your significant other or mom, but if you wear the bracelet as an accent they won’t even notice that you’re wearing it. To this end, you don’t want it to stand out too much so you want it to match the color of your suit or dress. You can also use it as a little pop of color and match it to your shoes or other accessories. The best way to avoid tackiness is by wearing one bracelet at a time. If you’re wearing one that has a charm on it this is the best way to show that off. If you’re wearing a stack of bracelets nobody will really be able to see it. The most you’ll want to wear is one on each wrist if you’re trying to be more subtle with your look. On the flip side of this, you can wear a huge stack of bracelets. It can look tacky depending on how you do it though. Madonna made this look popular in the 80’s by wearing them all the way up her arm. Her rubber bracelets were all black though. So if you want to copy this look, you can have them all be one color. Again, this look doesn’t really work if your rubber bracelets have charms or you’re trying to promote brands that you like. Another trend you probably noticed when you were a kid was that the children who wore them would connect several of them to make one bracelet. Overlap them like a ven diagram on a hard surface. Take the right side of the left bracelet and drag it over the left side of the right bracelet and repeat with the other side. The end result will be a hole in the middle that you should be able to fit your hand through. You want to wear them differently depending on what sort of outfit you’re wearing. If it’s more of a casual beach day or a mall outing with friends then you can make them stand out as much as you want. Wearing a black top? Then we give you permission to wear a highlighter orange rubber bracelet. We got into formal a little bit above but it goes without saying that if you’re trying to be formal, you’ll leave the highlighter colors at home. When wearing a rubber bracelet with a formal suit, allow it to peak just above your cufflink without fully exposing it. For some people, wearing something on each wrist feels strange. They would rather bulk down one wrist than space their accessories out. If you’re one of these people then you can have your cake and eat it too by wearing your rubber bracelet with a watch. If you go with a subtle color bracelet it could actually give off a complete look. Also, fewer people will criticize you for wearing a rubber bracelet if you’re also wearing a watch like the responsible adult society expects you to be. Is there an organization that you’re always giving money to or does your child’s high school chorus give out rubber bracelets as part of a fundraiser? If yes, it is perfectly acceptable for you to promote these organizations by wearing one. Again, if you’re wearing one for this purpose, then you want to steer clear of wearing multiple ones on one wrist or nobody will be able to tell what organization you’re supporting. Can You Make a New Rubber Bracelet a Fashion Statement? While you may feel like rubber bracelets went out of fashion years ago, they are still going strong. So, if you still have a drawer full of them, don’t feel ashamed for breaking them out and making them into your own fashion statement. Use these tips for wearing a new rubber bracelet to promote a brand you care about or just match it with your favorite outfit. Need a quick promotional item for your business? Go here to create your own custom rubber bracelets. There was a very particular moment back in the early 2000s when yellow rubber bracelets suddenly started appearing on everyone’s wrists. This was the Livestrong bracelet, an initiative by the Lance Armstrong Foundation to raise money for cancer research. If you had one, you wore it with pride to show your support for the cause. If you didn’t have one, you can be sure that you were plotting how to get one. By the end of 2010, the Lance Armstrong Foundation had raised $43 million for cancer research – and a big part of this came from sales of Livestrong bracelets. 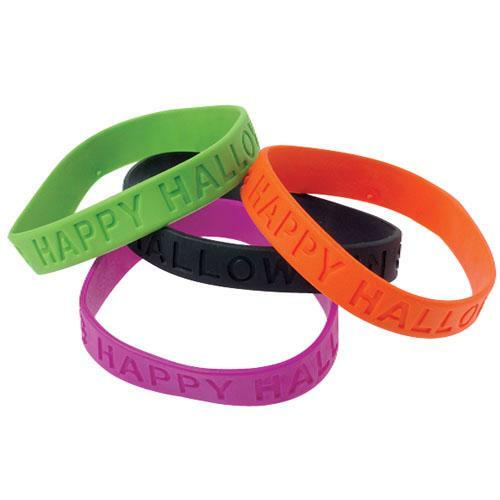 Since then, rubber bracelets have proliferated as a powerful fundraising and marketing tool. But they’re so much more than that. Maybe you’ve never thought much about rubber bracelets before. 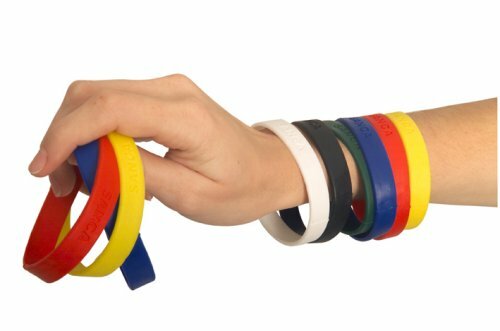 Fortunately for you, we’ve come up with a list of 15 cool things to know about rubber bracelets. People are sure to notice a brightly colored rubber bracelet around your wrist. When they look a bit closer, they’ll see a powerful message printed or engraved into the bracelet. It’s a quick and easy way to get your message out into the world, and helps to maximize the number of people who connect with your cause. 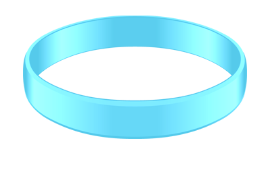 People will come to associate the color and style of your wristband with your cause, creating a strong visual link to your message. The low cost of rubber bracelets means that you can make a lot for very little money. By giving them to members of the public in exchange for a donation, you’ve got yourself a clear and simple fundraising campaign that’ll build loyalty to your cause or brand. People will usually pay more than the suggested donation, making them a great way to get a high return on a small initial investment. Selling wristbands is a tried-and-true method for raising money, but it’s not the only way that wristbands can help you meet your fundraising goals. At fundraising events, you can create wristbands in multiple colors and give prizes to people who collect the full set. Or you can partner with local businesses to offer a discount for anyone wearing your wristband. 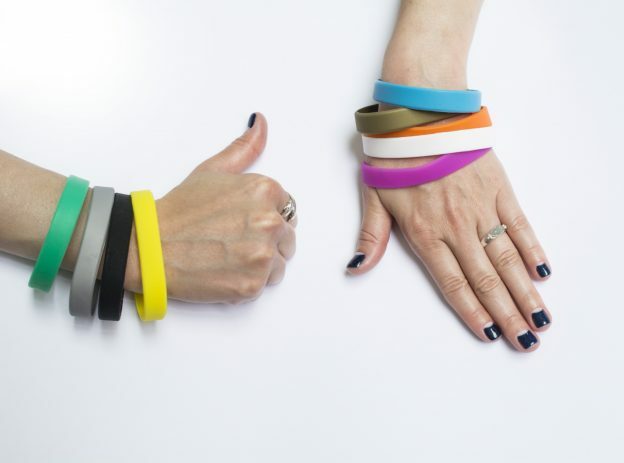 Could rubber bracelets be the promotional T-shirt of the 21st century? Not only are bracelets cheaper to produce, but they’re more versatile, and people can wear them every day. You can also give them away at business conferences to remind people of your product or service. Rubber bracelets are a great tool for managing large events. 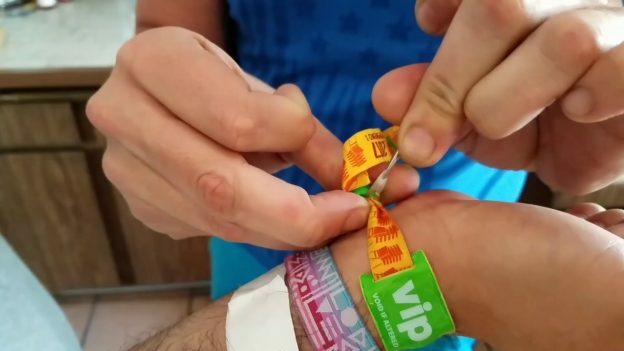 By giving people rubber bracelets when they buy tickets, it’s easy to make sure that no one sneaks in. You can even color code the bracelets to help manage different sections of attendees. Rubber bracelets aren’t just a fun accessory; they can also serve a practical purpose. Perhaps you’ve seen people wearing metal bracelets showing that they have an allergy to a medication. Hard metal can cut into the skin, and sometimes busy medical professionals might not notice a thin metal chain around someone’s wrist. Not only is silicone a much more comfortable option, but the bold colors of rubber bracelets can also make them more visible to hospital staff. When choosing a color and style, the sky’s the limit with our customized rubber bracelets. We offer four different width options, single- and multi-colored bracelets, and a range of designs for making your text stand out. All our bracelets are made with 100% silicone. This non-allergenic, latex-free material can be thought of as a hybrid between rubber and plastic. It’s completely safe, non-toxic, and gives you a whole range of options in designing your bracelets. Our rubber bracelets can be made in over 1,000 customized colors using the Pantone Color Matching System. You can also choose bracelets with multiple different color segments, as well as swirled designs. You’ve thought hard about what you want your rubber bracelets to say. We’re here to help you make sure your message stands out. 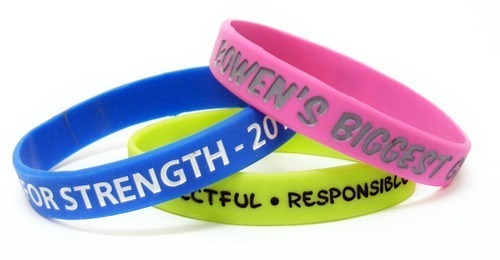 Our ink-filled wristbands are the highest quality rubber bracelets on the market today. To make these, we first carve out words into the wristband and then fill them in with the colored ink of your choice. If you want a simpler, monochromatic look, we’ve got you covered there too. Debossing is a technique that makes the words appear engraved into the wristband. Embossing, by contrast, makes the words appear to rise out of the wristband. Did you know that our rubber bracelets can glow in the dark? This makes them a great accessory for parties. Imagine all your guests dancing, pumping their fists to the music while wearing glow-in-the-dark wristbands. Glow-in-the-dark bracelets not only look cool, but can also help to make sure that children stay safe when they’re playing in the dark. With so many design options for rubber bracelets, they make a fun way to express your personal style. Stack them up to create a rainbow effect. Add a bold pop of color to an otherwise neutral outfit. Anyone can wear a rubber bracelet! Women, men, and children alike enjoy wearing accessories with a special meaning. We’ve made rubber bracelets to raise awareness of breast cancer, AIDS, anti-bullying, school fundraisers, and church events. Add this to all the uses of rubber bracelets at fundraising events, conferences, festivals, and parties. The list of possible uses for rubber bracelets is endless. Even after you’re done wearing them, there are tons of ways to reuse your old rubber bracelets. The flexible silicone can be repurposed into a great kitchen tool for opening jars. Rubber bracelets can also make cool, colorful keychains and bookmarks. You can get creative with your ways to reuse your rubber bracelets, and by recycling them, you’re helping the environment! Rubber bracelets are a powerful tool for raising funds for a cause, showing your support for a movement, or managing events. Place your order today, and we’ll make sure that you have your bracelets in just a few days! Labor Day is coming! It means the summer is officially going to end and you are getting time to spend it with your dear ones. 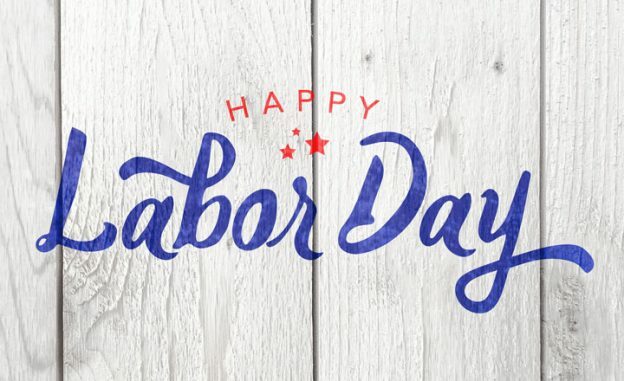 However, the Labor Day is also about honoring workers. Giving a gift is a great way of admiring someone’s work and making them feel good about their job. What is the best gift for co-workers? Although the world of gifts is full of interesting products, and many of them are available in online stores with the most innovative account verification for fraud protection by Fully-Verified service, choosing an appropriate gift for colleagues is not an easy task. It becomes a problem when you have numbers of co-workers. In this case, you need something which is interesting and inexpensive. Customized wristbands are a solution to your problem. It’s the time to make preparations for Halloween! As everyone is busy making plans for 31st October, you should also start thinking of some unique ideas to make Halloween 2018 memorable for you. Choosing a Halloween outfit and searching for local events to attend are some things that everyone does every year. What unique you can do this year? Look at some of “Halloween costume ideas” videos on YouTube which have a lot of likes and views on social media thanks to the successful promotion by The Marketing Heaven. Choose the most interesting costume for you as the host of the party. For centuries, bracelets have been an important part of human life. Our ancestors wore them as a symbol of power or as a tradition. Not only men, but women in the history also wore bracelets around their wrists for different reasons. What Is The Latest Most Popular Bracelet? While exploring the social media account of your favorite celebrity, have you ever come across a situation when you are impressed with their bracelet but don’t know from where they bought it? To save you from agony, here we are revealing the most popular wrist accessory. Where Should I Buy Customized Rubber Wristbands? 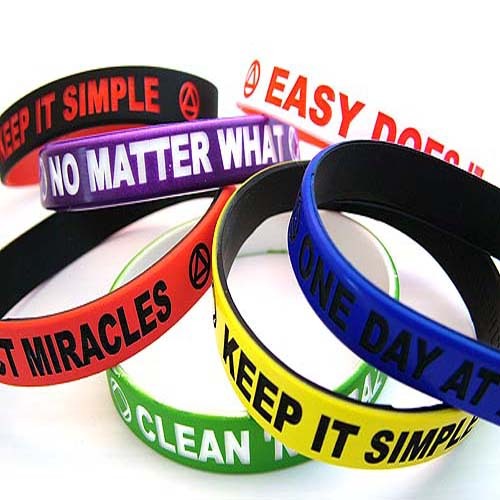 Whether it is about raising awareness or completing the look through accessories, wristbands are known as an inexpensive way of fulfilling the requirements. Also known as silicone bracelets, these rubber wristbands are colorful accessories that you can customize for several purposes. Today, personalized wristbands are more than just a fashion gear. You can use them to promote your business, generate funds for a cause, raise awareness, and serve many other purposes. One more amazing thing about these wrist-wears is that you can customize them easily online. They come in many types, sizes, and colors. In addition, you can engrave a special message or a logo on them.